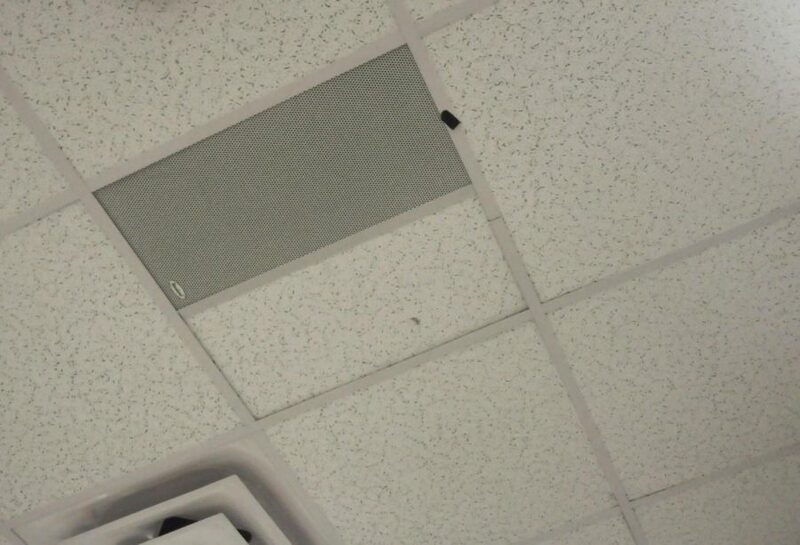 A classroom speaker on the ceiling that will communicate emergency messages to students and staff. Senior high schools in the district completed installing a Public Announcement (PA) system over winter break in order to improve the campuses security. This system is part of a district-wide effort to increase the safety for both students and staff alike, especially in emergency situations. The PA system, called Telecenter U, includes speakers in every classroom and other designated areas. In the event of an emergency, either a pre-recorded message or a school administrator will speak over the intercom and give specific instructions for staff and students. In the past, a bell system signaled emergency information to the campus using certain types and lengths of rings, which corresponded to different emergency situations and protocols. Parks confirmed that other elementary, middle, and high school campuses in the district have some type of PA, which have been on the campuses since they were built. 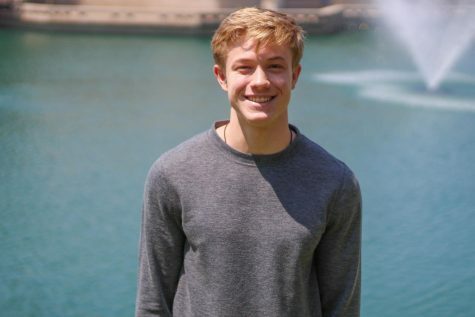 “It’s a way that we can go to the more standard version that the other levels are using— the K-10th grade —to where they use a verbage for each different type of situation that is much more clear and concise,” Eppler said. Along with the new PA system, each of the senior high schools were assigned two safety monitors who can see security video feeds in real time and have access to a control panel to oversee who enters buildings in between passing periods.